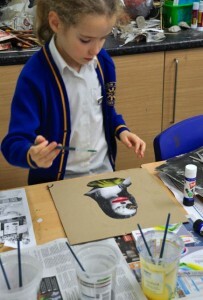 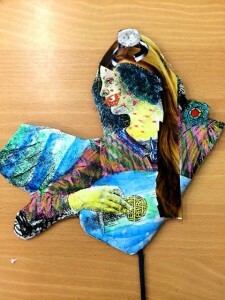 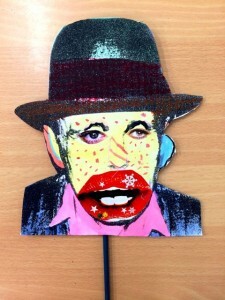 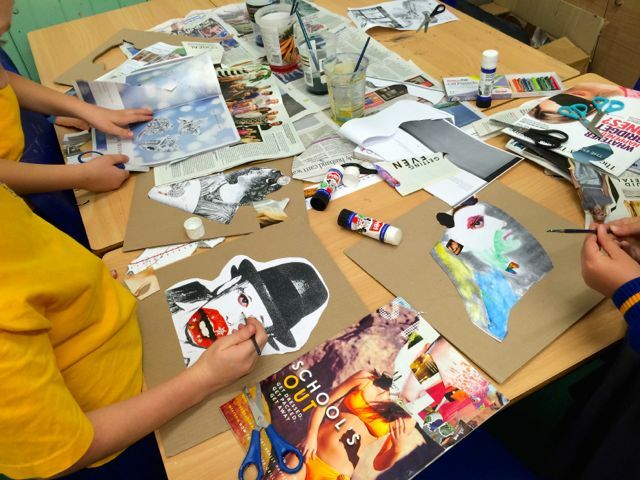 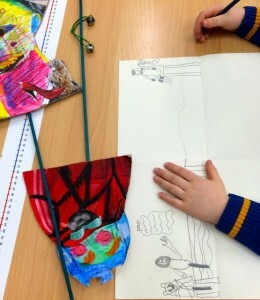 This week at Merton Park’s after School Art Club we finished our collaged puppets that we started last week. 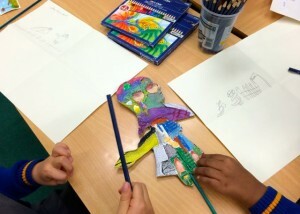 See last weeks Blog: A little Puppet Happening for more details. 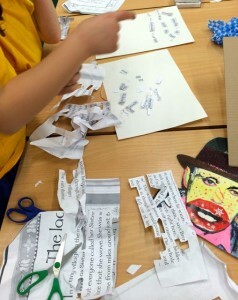 Our aim is to create a nonsense performance including words, puppets and music. 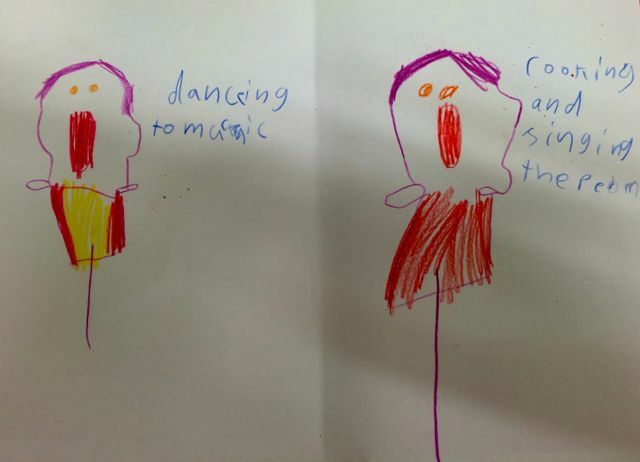 We listened again to the music that inspired our paintings in our first session; Marks to Music and then created some nonsense poems. 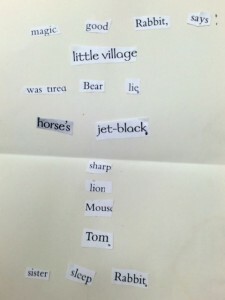 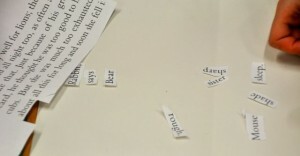 We cut up words photocopied from random books and pieced them together to make a new poem. There was only one rule…break all the rules. 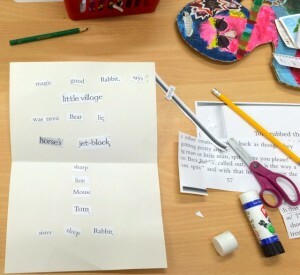 It didn’t have to make sense, or include a full stop, just sound interesting to our ears when we read it aloud. We started to plan what our performance would look like. 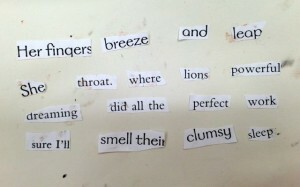 It had to include our poem, some music and extra characters, which we will make next week.